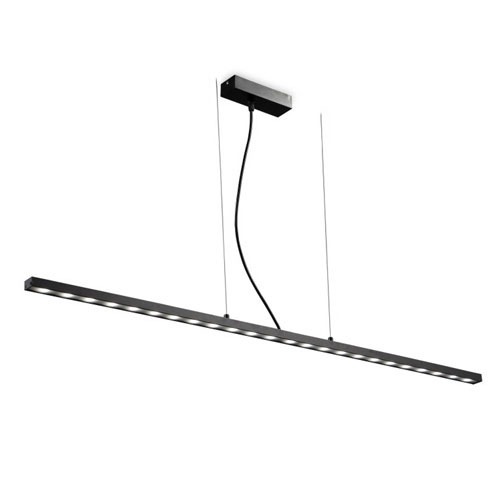 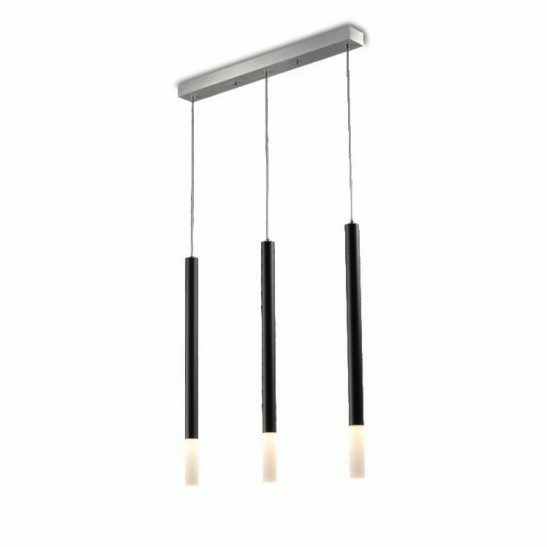 Sleek modern design from this slim LED pendant light. 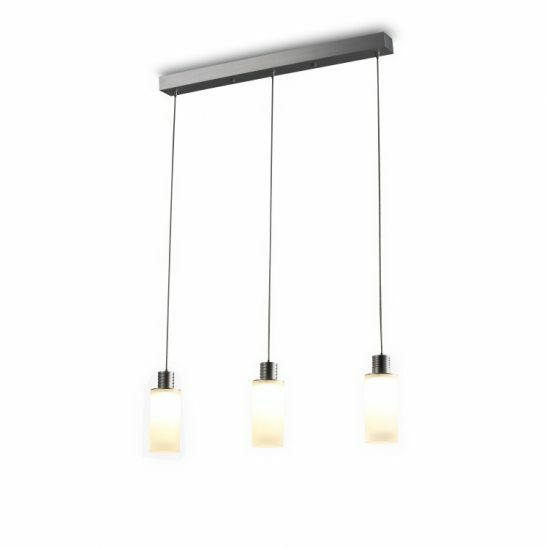 Looks great above tables, over reception areas or along bars or kitchen work tops. 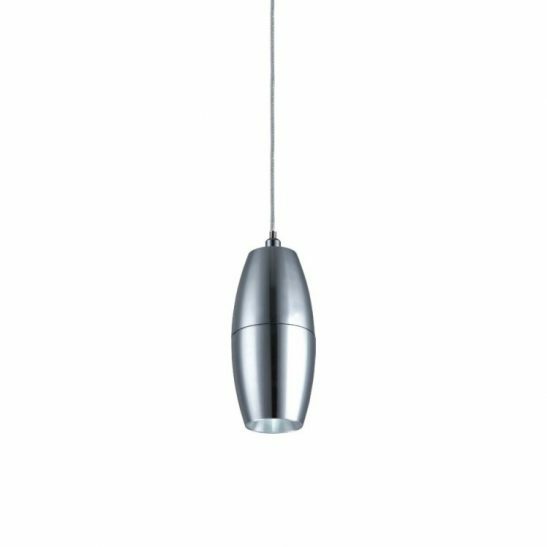 Uses high power 24 watt CREE LED’s to product a huge 1680 lumen light output approximately equivalent to a 160 watt halogen lamp. 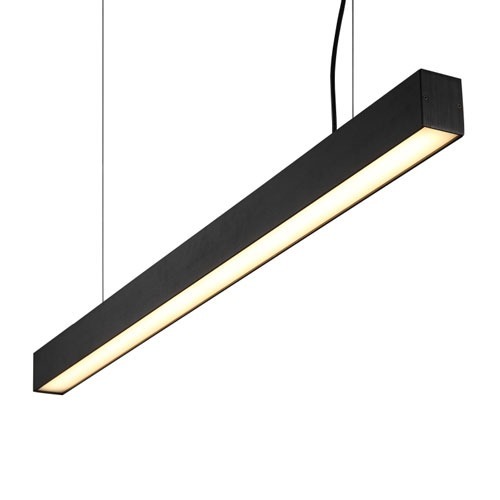 Finished in black with 1000mm drop cables supplied that can be adjusted to height.